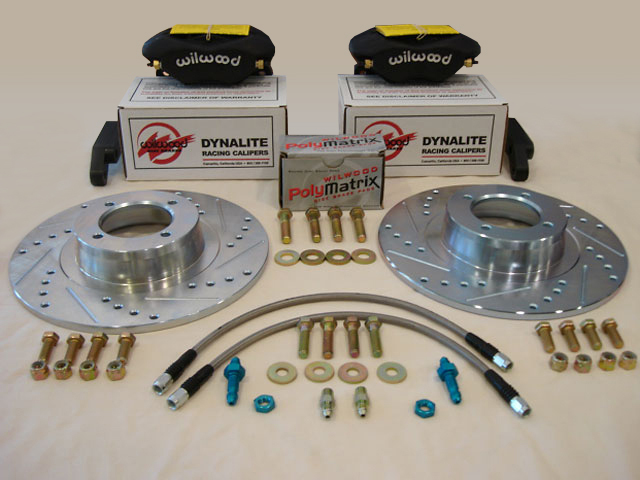 Improved Touring Brake Kit for V6 or V8 MGB’s. Recommended V8 MGB’s and V6. 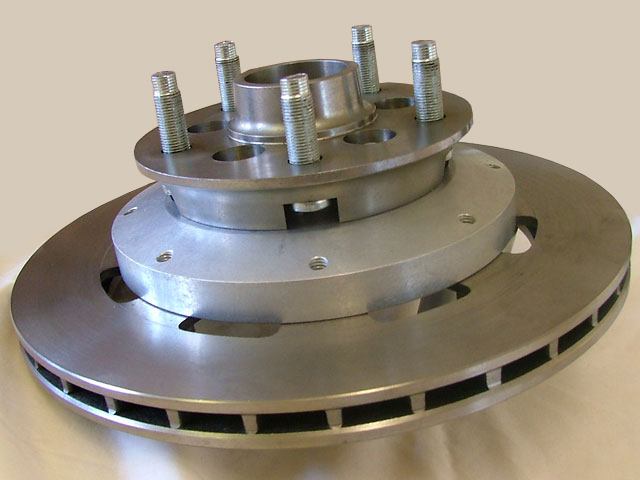 Our Big Brake Kit uses 11.75″ vented rotors with an exclusive aluminum rotor adapter hat. 6061 aluminum billet hat, specially made to fit the MGB hub, and 6061 billet caliper mounting bracket. Both parts are black anodized to prevent corrosion. This kit was designed for serious braking. Great for the V6 or V8, cars that demand the best. All parts were designed specifically for the MGB only. 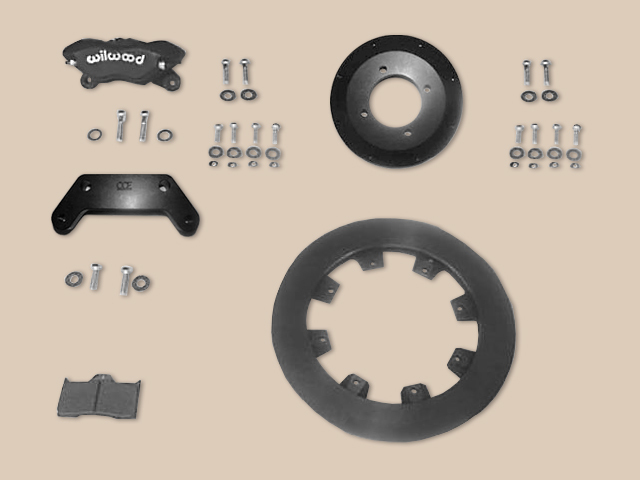 This kit uses an 11.75″ vented rotor that bolts to a billet hat. Wilwood caliper is bolted to a billet bracket. Kit is a direct replacement. No modifications are needed. 15″ wheels are a must with the kit. Steel brake lines optional. You supply labor and brake fluid. Five lug hubs will provide you with a wider choice of wheels, especially in currently popular larger wheel sizes. 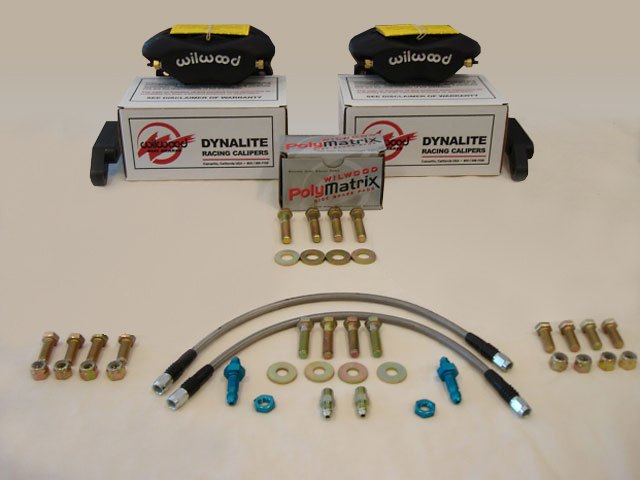 Our integrated hub and brake upgrade kit was designed to be a direct bolt-on replacement. In other words, you simply unbolt your original MG parts and put them away. These new hubs are precision CNC machined, making them better than the original MGB hubs. The hubs come with aluminum hats, ready to accept the (included) 11 3/4″ Wilwood vented rotors and matching calipers. Please call (805) 484-1528 or SEND EMAIL so we can advise shipping cost.